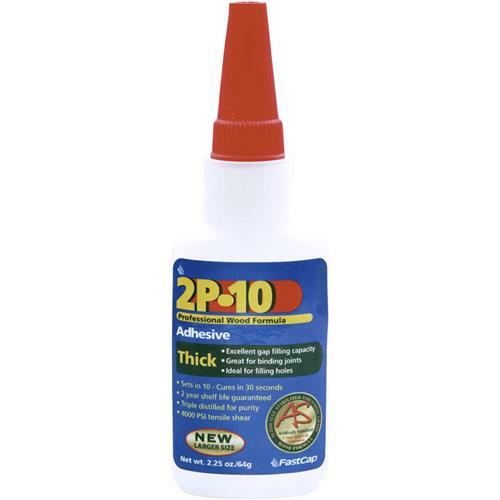 2P-10 Thick Adhesive, 2.25 oz. FastCap 2P-10 THICK 2.25OZ - 2P-10 Thick Adhesive, 2.25 oz. With 2P-10 you can easily glue the hardest joints in cabinetry without clamping! Thick: For use on porous surfaces such as particle board.